Sulbutiamine (isobutyryl thiamine disulfide) is a synthetic derivative of Vitamin B1 (thiamine). Thiamine was the first B Vitamin to be discovered by researchers. That’s why it’s called B1. 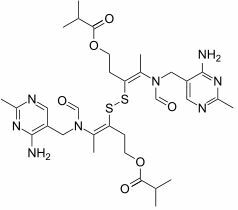 Sulbutiamine is simply two vitamin B1 molecules joined together. This chemical bond helps thiamine more easily cross the blood-brain barrier. Japanese scientists first synthesized Sulbutiamine in an attempt to quell a health crisis within the Japanese population. 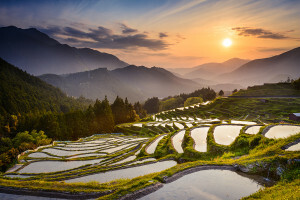 After WWII, the Japanese diet largely consisted of rice. This left them deficient in several key nutrients including thiamine. Insufficient thiamine led to a central nervous system disorder called Beriberi. But supplementing with thiamine alone didn’t help. Because of its poor bioavailability. And a lot of thiamine was needed to cure Beriberi symptoms. Sulbutiamine is far more bioavailable than standard thiamine. It is fat-soluble (thiamine is water-soluble) which helps it more easily cross the blood-brain barrier. The discovery of Sulbutiamine cured the Japanese population of a life-threatening disease. And it has since been tested and used throughout the world with much success. Throughout this article I’ll refer to Sulbutiamine interchangeably with thiamine. Sulbutiamine is the stronger of the two so it’s affects are amplified compared to standard thiamine. Thiamine is a coenzyme used by your body to metabolize food for energy. And to maintain proper heart, nerve and brain function. Thiamine also helps digest and extract energy from food. It turns nutrients into adenosine triphosphate (ATP). ATP is the fuel used by your cell’s mitochondria. And thiamine helps convert carbohydrates into glucose. The energy your body uses for your brain and nervous system. One more thing about this miracle B-vitamin. Thiamine contributes to the development of myelin sheaths which wrap around neurons to protect them from damage. 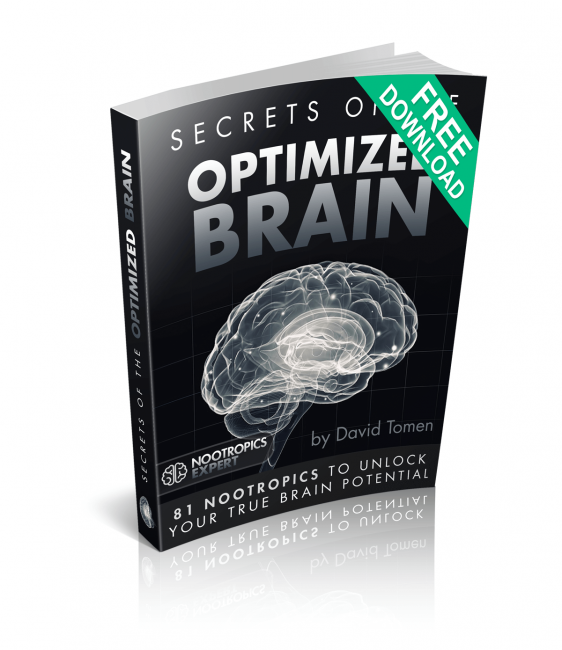 Brain Optimization: Thiamine is critical for increasing focus, energy, and preventing memory loss. And can ward off inflammation. Healthy brain function is crucial for good decision making. Neurotransmitters: Thiamine is essential for producing the neurotransmitter acetylcholine (ACh). ACh is used to relay messages between neurons in your brain. And is critical for cognition, learning and memory. Mood: Thiamine helps your body withstand stress. A lack of energy can contribute to poor mood and motivation. Thiamine can boost your mood, and defend against depression and anxiety. 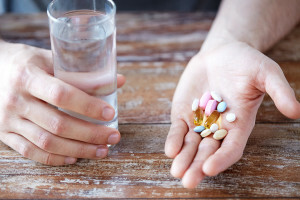 Sulbutiamine vs. Thiamine: What’s the Difference? How does Sulbutiamine Work in the Brain? Sulbutiamine is a synthetic version of Vitamin B1 (Thiamine). Japanese researchers synthesized Sulbutiamine by bonding two B1 molecules. They developed Sulbutiamine in response to a country-wide health crisis. 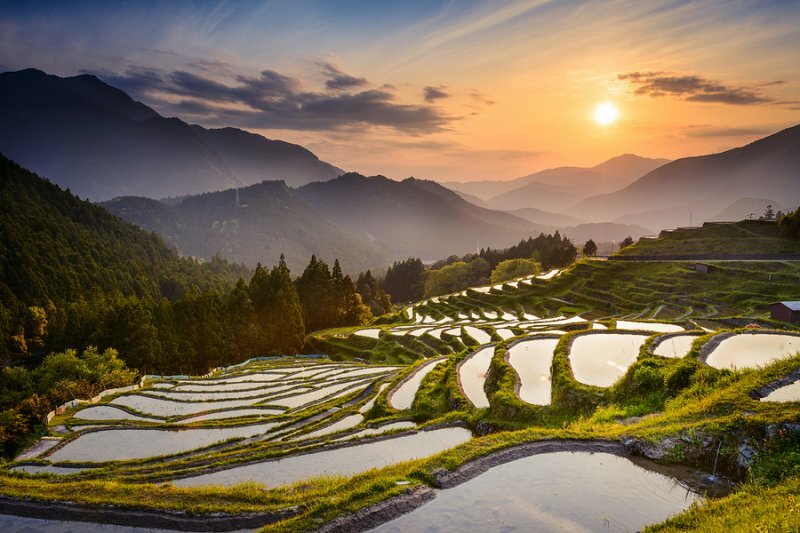 The Japanese population were severely thiamine-deficient from a rice-only diet. Large numbers of the population were suffering from Beriberi. 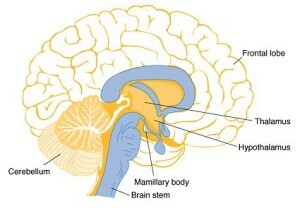 A central nervous system disorder caused by a lack of thiamine. Your body does not produce thiamine on its own. So you must get it from food including beef, brewer’s yeast, legumes (beans, lentils), milk, nuts, oats, oranges, pork, rice, seeds, wheat, whole-grain cereals, and yeast. But thiamine has poor bioavailability. By synthesizing thiamine and producing Sulbutiamine you end up with a fat-soluble compound that is easily digested. And readily crosses the blood-brain barrier. Sulbutiamine is a synthetic version of Vitamin B1 (Thiamine). It is two B1 molecules chemically bonded together. Thiamine is water-soluble and does not easily cross the blood-brain barrier. Sulbutiamine is a fat-soluble compound that easily crosses the blood-brain barrier. Sulbutiamine functions in the body just like thiamine. But because it’s more bioavailable it’s more effective than thiamine. Sulbutiamine boosts brain health and function in several ways. But two in particular stand out. Sulbutiamine is a fat-soluble molecule that crosses the blood-brain barrier more readily than thiamine. Once in your brain, it increases levels of thiamine pyrophosphate (TPP). Thiamine pyrophosphate (TPP) is directly involved in the citric acid cycle in the brain. This cycle breaks fatty acids, amino acids and monosaccharides into smaller molecules that produce adenosine triphosphate (ATP) energy for your mitochondria. And provide the building blocks of the molecules needed to produce brain cells. Brain regions affected by thiamine deficiency include the cerebellum, mamillary bodies, thalamus, hypothalamus, and brain stem. A deficiency of TPP can eventually show up as Wernicke encephalopathy and Korsakoff syndrome. In our society this syndrome is typically caused by chronic alcoholism. But it can also occur after obesity (bariatric) surgery, Crohn’s disease, anorexia and if you’re on kidney dialysis. Less severe cases of thiamine deficiency include fatigue, weight loss, irritability and confusion. The citric acid cycle and enzyme α–KGDH play a role in maintaining optimal levels of the neurotransmitters glutamate, and gamma–aminobutyric acid (GABA). We depend on our diet for thiamine. Very little thiamine is stored in your body. And depletion can occur within 14 days. Thiamine deficiency can be caused by alcoholism, Alzheimer’s Disease, anemia, athletes who reduce food intake, cancer, clogged arteries, Crohn’s disease, diabetes, diarrhea and kidney disease. And even a poor diet. So Sulbutiamine can help age-related cognitive decline, as well as a student looking to do better in school. By boosting acetylcholine, dopamine and GABA in the brain. And increased brain energy by fueling cell mitochondria with ATP. And building myelin sheaths that protect our neurons. Sulbutiamine is directly involved in the citric acid cycle that provides adenosine triphosphate (ATP) energy for your mitochondria. Sulbutiamine also plays a role in maintaining optimal levels of the neurotransmitters glutamate, and gamma–aminobutyric acid (GABA). And contributes to the production of the enzyme PDH which is essential in making the neurotransmitter acetylcholine. 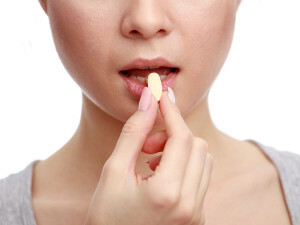 Sulbutiamine will boost cognition, memory and decision-making. And has very effective anxiolytic (anti-depressant) qualities. Sulbutiamine as a study aid. 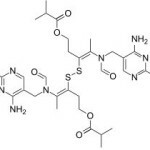 On its own, Sulbutiamine seems to increase attention span for many neurohackers. And when combined with caffeine or any one of the racetams, many report being able to work effortlessly for hours on end. Study and work seems less stressful. Boost motivation. Sulbutiamine boosts motivation and many report gives them the drive they need for study or work. Increased focus. Sulbutiamine helps provide laser-like focus at work and school. Some report even with the most tedious of tasks. While staying in a very good mood. Sociability. Many users report being able to articulate thoughts, and improved speaking ability. Language and your vocabulary seem to flow effortlessly. Thoughts and ideas come with less effort. Improved mood. Personally, I’ve found Sulbutiamine to be more effective than any prescription anti-depressant I’ve ever tried. And without the side effects. You should be able to experience the effects of Sulbutiamine soon after you take it. A study at the University of Wales Swansea in the UK worked with 120 young adult females. Study participants took either a placebo or 50 mg thiamine for 2 months. Mood, memory and reaction times were monitored before and after taking the tablets. If you deal with chronic fatigue, Sulbutiamine may be a better option than another cup of coffee. Or a stimulant. 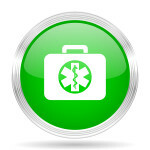 Researchers at the Hospital Saint-Antoine in Paris studied 326 patients. All suffering from chronic fatigue. 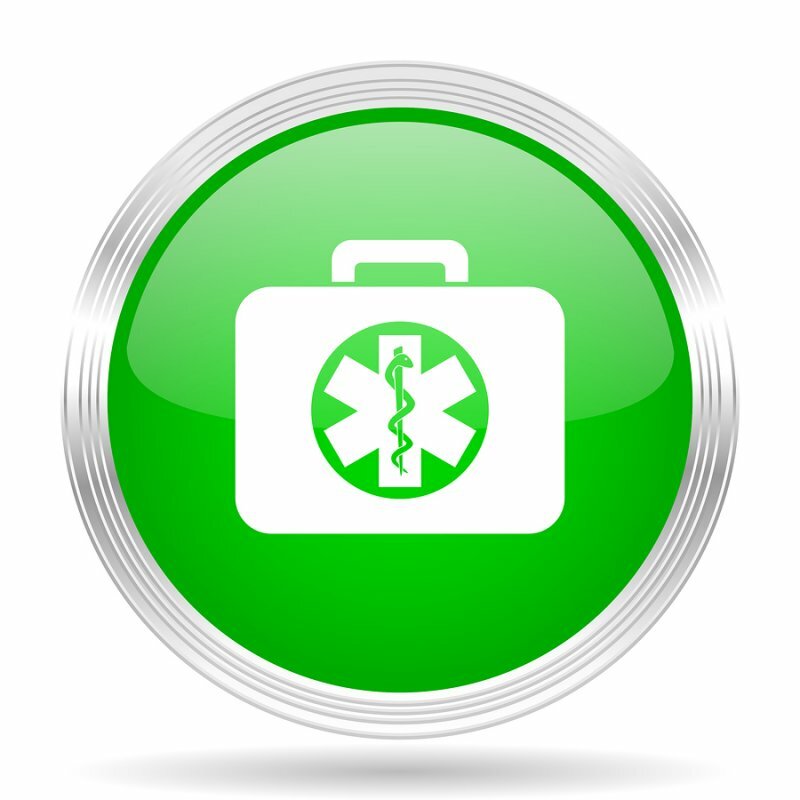 Patients were given 400 mg or 600 mg of Sulbutiamine daily. Or a placebo in this double-blind, parallel-group study. Poor memory is associated with low levels of choline activity in the brain. Choline is a precursor to the neurotransmitter acetylcholine (ACh). ACh transmission between neurons helps in memory formation. Many neurohackers use Sulbutiamine for a boost in physical energy. And it’s created some controversy in professional sports. The Moscow Anti-Doping Center analyzed 16,000 blood samples in a Russian lab in 2009. They were looking for anabolic steroids in athletes. One small study was conducted with 20 patients suffering from psychogenic erectile dysfunction. This type of ED is defined as the inability to achieve or maintain an erection because of psychologic factors. The men were given a prescription form of Sulbutiamine ‘Enerion’ for 30-days. 16 of the men showed significant improvement based on the international index of erectile function (IIEF). Recommended Sulbutiamine dosage is 400 mg to 1,000 mg per day. Higher doses should be split with one dose in the morning, and the other early afternoon. Some neurohackers warn about dosing Sulbutiamine too late in the day. It’s mild ‘stimulant’ qualities could interfere with sleep. If you’re just starting out with Sulbutiamine, we suggest starting with a low dose and see how your body reacts. Tolerance can be a problem with Sulbutiamine. So when taking it for extended periods, you may find it beneficial to cycle on and off the supplement. For example, take Sulbutiamine for 5 days, and take 2 days off before your next dose. Sulbutiamine powder tastes nasty. So you’d be advised to take it in capsule form. You can save on the cost of Sulbutiamine by making your own capsules. And Sulbutiamine is fat-soluble so take it with a tablespoon of extra virgin, cold-pressed coconut or olive oil for better absorption. Sulbutiamine non-toxic. So is considered well-tolerated and safe. Side effects are rare but can include skin rashes and eczema-like outbreaks at higher doses. Sulbutiamine can also create mood swings. Particularly if you’re bipolar or are taking bipolar medication. If you take Sulbutiamine late in the day you may find it interferes with sleep. Some find it has mild stimulant effects. There are some reports that Sulbutiamine can be addictive. If you have addiction-like tendencies, you may want to be cautious about using this supplement. It does affect dopamine levels in the brain. Sulbutiamine is sold in tablet, capsule and powder form. Tablets and capsules are usually 750 mg each. It’s sold as a prescription medication in some countries under the brand names Arcalion, Enerion, Bisibuthiamine, and Youvitan. We recommend using Sulbutiamine as a nootropic supplement. Your body does not make Sulbutiamine on its own. So to get its benefits you must take it as a supplement. Sulbutiamine is especially helpful for those suffering from depression. Experience shows it helps stop and reverse the symptoms associated with depression. Likely because this nootropic helps boost the activity of dopamine, serotonin, GABA and glutamate in the brain. Personally, I’ve found Sulbutiamine to be more effective (and safer) than any prescription anti-depressant I’ve ever tried. Sulbutiamine is also particularly helpful to students and executives who want to boost cognition, learning and memory. Sulbutiamine can produce a noticeable increase in mental clarity. And give you a significant energy boost physically and mentally. You’ll feel more awake and alert. Without the side effects you’d get from stimulants like caffeine. Sulbutiamine also stacks very well with racetams like Piracetam and Aniracetam. [iv] Ollat H., Laurent B., Bakchine S., Michel B.F., Touchon J., Dubois B. “[Effects of the association of sulbutiamine with an acetylcholinesterase inhibitor in early stage and moderate Alzheimer disease]”. L’Encephale2007 Mar-Apr;33(2):211-5. Still on the quest here. I would like to know what brand of Sulbutiamine do you use. There seem to be conflicting reviews of some brands online. I also would like to know why you use both Sulbutiamine & Aniracetam. Looks like they have same benefit. James, they compliment each other but to not have the same mechanism of action in your brain. Aniracetam of course is a racetam synthesized in the lab. It’s an “ampakine” nootropic which means it desensitizes AMPA receptors which increases the effectiveness of glutamate in your brain. Improving focus and concentration. And it releases more acetylcholine. But Sulbutiamine is a derivative of Vitamin B1 (thiamine) which is required for the synthesis of acetylcholine (ACh). So there is more ACh available for Aniracetam to release. Dig into the reviews of each here on Nootropics Expert to you have a deeper understanding on how these two work. Particularly the section “how it works in the brain” for each. I personally find the combination does help improve concentration and focus. And is a helluva antidepressant. The last order of Sulbutiamine I got from Nootropics Depot. I know they test their product and find everything I’ve tried from them have been of high quality. Hi David, would you be able to comment on the differences between sulbutiamine and allithiamine? They both seem to be enhanced forms of thiamine that cross the BBB. Thanks. Doug, allithiamine was originally discovered in and extracted from garlic. Sulbutiamine is synthesized in the lab. Both seem to do the job of thiamine once it crosses the blood-brain barrier. Like most other nootropics I imagine one will work better than the other depending on the person and their unique chemistry. I have not tried benfothiamine or allithiamine so please let me know how they work if you or anyone else reading this thread uses them. my experience from 0 to 1mg of B1, life changing. it goes from struggling to read half a page to reading the whole afternoon. Xaa, sounds like sound advice to me. Chromium combined with D-Phenylalanine activates AMPK. When activated, AMPK activates glycolysis and fatty acid oxidation to boost ATP production: https://nootropicsexpert.com/13-minerals-essential-for-the-optimized-brain/#chromium. And Alpha Lipoic Acid boosts the production of the neurotransmitter acetylcholine. And even increases glucose uptake in brain cells. 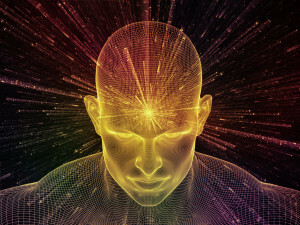 Providing you with a boost of mental energy: https://nootropicsexpert.com/alpha-lipoic-acid/. Would sulbutiamine work if 50mg thiamine mononitrate did not work so well? Thanks. John, the only way to find out it to try it. Japanese scientists developed Sulbutiamine because regular thiamine didn’t work well enough to treat a deficiency. David: Now that im out of sertraline im very interested in Sulbutiamine, if this may be the strong tool for my depression syntoms (of course with other esential nootropic suplements like aniracetam that in fact my experience tell me works good, but i need something more; rodhiola, bacopa, (i didnt experience this two) etc., But with this sulbutiamine i dont want another adicction-dependence simmilar to sertraline; unless of course, that this sulbutiamine become absolutely necessary and less harmful than sertraline (ssri). Of course im taking DHA, MAGNESIUM, Lions Mane, acetyl carnitine, l theanine, some times l cystheine, b12 (vitamin), etc., etc., But im wondering about the more important and strong suplement nootropic for my sertraline substitution and anti-anxiety and depression, i think may be its between aniracetam, rohdiola, bacopa, and sulbutiamine. I was thinking also in st john wort, …what do you think? but not in 5htp, becouse i didnt have a good experience with this one. thanks in advance. Francisco, you are on the right track here. And St. John’s wort may be a good option for you. But please closely read the side effects and dosage recommendations for this nootropic. And you’ll have more success using a racetam like Aniracetam by stacking it with a good choline supplement like Alpha GPC or CDP-Choline and a tablespoon of unrefined coconut oil. I am a 78 year young active retired man that developed a neurotrophic condition in my feet that is annoying more that disabling. This developed because of a blood sugar issue that I have corrected and under control. I do not have type 2 blood sugar problems and returned my HgA1C under 5.4 for the past 6 months. However the lingering pain in the feet have lessened and very manageable but annoying. I recently learned about a nootropic product called Lions Mane and its effect on the healing of nerve tissues in the brain and spinal areas. Is there any studies that are showing how this nutritional product might have a positive effect on conditions reflective of my foot nerve issues? Can you suggest any other product that might have a beneficial effect on this type of nerve issue? I m a very active young 78 old that walks and exercises a lot, in addition to have always taken natural nutritional supplements for years. My wife had a health food nutritional business for years. She was an instructor in student nursing program and taught pharmacology for years before passing of a liver cancer. Any light you can shed on this condition would be greatly appreciated. 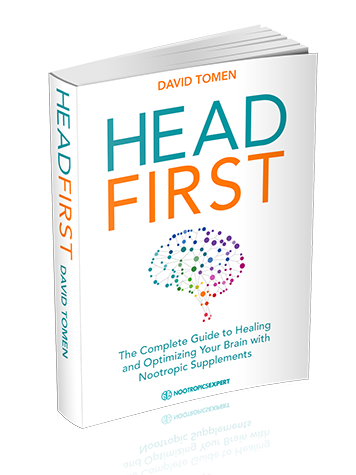 I enjoy your YouTube videos on nootropics and follow many ideas I glean from your tropics. Thank you in advance. Larry, if this is truly neuropathic pain then Lion’s Mane may be a good choice. One study in Japan showed Lion’s Mane regenerated severely damaged gluteal nerves in rats. Who went from incapacitated to walking again. I suggest doing a search on Nootropics Expert using the search bar top right for the keywords “nerve growth factor”, “nerve pain” etc. and see what comes up. I know that Alpha Lipoic Acid and CBD Oil both have been shown effective in taming nerve pain as well. Why do you recommend such a high dosage of Sulbutiamine? I am playing around with a wide range of dosages to figure out what works best for me. But I can’t decide if I want to stick with a dosage well beyond what other sites recommend. Also, I am trying to determine which brand to buy from next. The dosage I take per serving is going to be a factor as well. Ideally, I could take this 3x/day, but a still pack a punch each time. I have been liking 600mg 3x/day (would buy Absorb Health’s 500mg caps next), but your site is the only one that recommends 1500mg/day. Others seem to most often say 600mg/day is the maximum dosage per day. Adam, thank you for pointing this out and I’ve since corrected this. Dosage recommendations for Sulbutiamine are 400 mg to 1,000 mg per day. And for some bizarre reason the Nootropics Expert Recommendation was mistakenly saying 1,500 mg per day. Which clearly did not match the Dosage recommendations section and was not my intention. No idea how this happened and I take full responsibility for this error. I personally find that 500 mg 2-times per day works great for me. Others may find smaller doses work just as well for them. The only way to find out is trial and error. My apologies for this typo and thanks to you for bringing it to my intention. I love it when you guys keep me in check. Thanks for the clarification. I was stumped for a couple of days trying to find another source backing up your recommendation haha. I am going to go back down to 400 mg twice daily for now while I have 200 mg caps. I’ll be sure not to hesitate before commenting next time I question something you post. I guess it just shows how much I respect your expertise. I appreciate it Adam. I don’t do it often enough but I like to remind people to verify everything you read on the World Wide Web. Including this website. None of us are perfect (please don’t tell my wife!) but nootropics can certainly help us get closer. I suffer from a giant lack of motivation / procrastination. And anxiety is my baseline emotion. In an effort to solve this short-term I tried both Sulbutiamine and Phenyl Racetam. Even both together. At various dosages. What does it mean if these substances don’t do anything at all for me? Is it because of my Asperger diagnose? I feel like the lack of effect is a key to something. Wilfried, are you dosing Sulbutiamine and Phenylpiracetam correctly? Sulbutiamine is fat-soluble and requires a health fat to make it into cells. And Phenylpiracetam, like other racetams needs to be stacked with a choline supplement like Alpha GPC or CDP-Choline. I recommend reading my post on how motivation works here > https://nootropicsexpert.com/hacking-motivation-with-nootropics/. And consider trying to boost dopamine as well to see if that helps. You could try L-Tyrosine or NALT. Dealing with Asperger’s is likely contributing and presents more of a challenge because from what I’ve seen, this syndrome could be a problem with brain connectivity. If this is the case then some nootropics may not work as well because of brain cell signalling problems. And this type of thing is way above my level of expertise. All I can offer is to help point you in the right direction so you can do more research on your own. I wanted to know your opinion on this David. 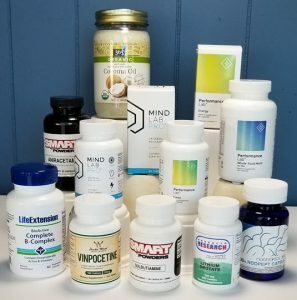 I’m planning to try your natural nootropic stack to treat ADD which is Aniracetam, Sulbutiamine, Mind Lab Pro and unrefined coconut oil what do you think? Is there anything else that I can add to improve the stack or is this enough? For now I have the mind lab pro. I still need to buy the others to complete. I would greatly appreciate your opinion David. It’s just my opinion that I’m ADD I don’t have a Ritalin neither an Adderal or even consulted any doctor about my symptoms. I don’t really like to see a doctor here in Philippines about this matter I don’t trust them for some reasons. What stack should I take? Should I follow the stack you took for 12 years without any ADD medications? My decision is going with the stack that you mentioned above. I behave like I’m ADD for sure I resonate completely while reading this article. Kyle, I did an experiment a couple of years ago. For the first time since I started on Ritalin, I quit using the stimulant and used only the nootropic stack I describe in my ADHD post. I used ONLY this stack for an entire year and my Adult ADD symptoms were under control. I know for sure that I could have continued using only this stack and stayed off the prescription stimulants. But I made a decision after a year that my work load was such that I needed the extra push that I could get from Ritalin. Dennis, it could be B1 and it wouldn’t hurt to try Sulbutiamine because it is very effective in raising thiamine levels in your system. I also suggest you try a good nature-identical multi like the Performance Lab Multi which I reviews. It has nothing other than biologically active vitamins and minerals that your body need. I’ve just purchased sulbutiamine from bulk supplements – powdered, and the taste is absolutely vile and recommendations on how to take it/what to mix it in? Ray get a capsule machine and make capsules. They only cost $20 – 25.